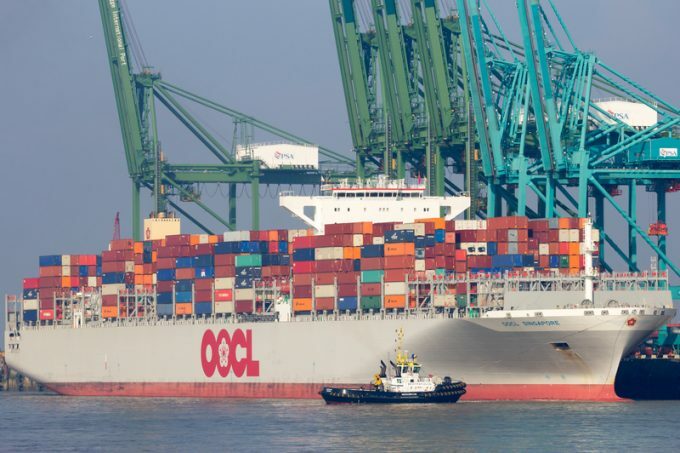 The EC competition directorate has formally approved the takeover of OOCL by China’s Cosco, despite investigators finding it would hold a “very significant” market share of transatlantic trade. The decision follows that of US regulators in October, who approved the acquisition under the Hart-Scott-Rodino Antitrust Improvements Act, and also appeared unconcerned by Cosco’s state-owned status. Despite a partial listing on the Shanghai and Hong Kong stock exchanges, Cosco is ultimately controlled by Central SASAC, the Assets Supervision and Administration Commission of the Chinese state council. This was also of little relevance to the EC, which instead focused on the combined market share of the two liner operators and the alliances they belong to on eight routes that touch European trade. They are both legs of the Northern Europe to North America, Northern Europe to the Far East, Mediterranean to the Middle East and Mediterranean to the Far East trade routes. The EC was disturbed by the potential market share of the combined entity between North Europe and North America, a trade where OOCL is a well-established player. It said: “However, the commission concluded that the proposed transaction would not give rise to competition concerns, given among other things: (a) the presence of significant competitors post-merger; (b) the fact that the companies do not appear to be close competitors; and (c) Cosco’s marginal position on the Northern-Europe-North America trade route. “On the other trade routes where the companies’ activities overlap, the transaction would not give rise to competition concerns because of the small increment brought about by the transaction and the presence of other significant competitors post-merger,” it added. The EC it also looked at the effects of the $6bn deal on container terminal services and freight forwarding, but found no competition concerns. The takeover is clearly an answer to OOCL’s mounting lack of scale in the liner business, while The Loadstar has previously calculated it would significantly increase Cosco’s gearing.